Diligently develop, construct and operate our facilities in an environmentally responsible manner that promotes pollution prevention and places the highest priority on health and safety. Operate facilities that meet all applicable federal, state and local environmental, health and safety rules, regulations, ordinances and statutes as well as recognized industry guidelines and standards. Continually measure, evaluate and improve our environmental, health and safety performance. Promote environmental, health and safety awareness that fosters a caring, ownership-driven culture among employees, contractors and vendors. Pihl is committed to assuring safety and health at all company operations. We consider the proactive management of safety and health risks to be a key element of our personal and company integrity, ethical behavior, corporate social responsibility, and long-term business success. Our assurance of a safe and healthy workplace is a common goal shared by the company, our managers and our employees, and it is simply the right thing to do. We will always strive to operate in a manner that consciously safeguards our employees, contractors, visitors, customers and the communities in which we do business. Design, construct, operate and maintain our projects in a responsible manner that places the highest priority on safety and health. Comply with all applicable safety and health laws, implement recognized industry guidelines, and apply other prudent standards where regulations do not exist. Anticipate, recognize and evaluate safety and health risk factors that potentially affect employees, contractors or the public, and implement appropriate measures to eliminate, control or minimize such risks. Continually measure, evaluate and improve our safety and health performance and risk management. Maintain high expectations for safety and health performance. Promote an awareness of our corporate safety culture to foster attitudes of caring and ownership among management, employees, contractors and vendors. Provide a foundation of best management practices, systems, standards, guidelines, tools, staff and other resources to support proactive safety efforts by managers and employees. Benchmark with other industry leaders, openly sharing our innovations in best safety practices and seeking to implement best practices developed by others. Conduct periodic reviews to measure progress and ensure conformance with this policy. Assure compliance with all applicable safety and health laws and regulations. 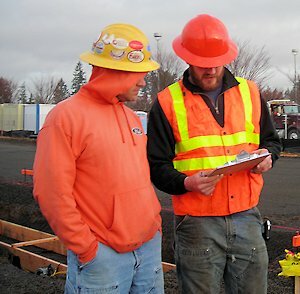 Routinely lead by example to encourage safe behavior by all persons both on and off the job. Assure the presence of systems, procedures and practices in conformance with corporate policy, standards and guidelines, so as to continuously improve our management practices. Respond quickly, safely and effectively to incidents, near misses and other emergencies or accidents and implement prudent corrective action in a timely manner. Continually evaluate and improve our safety and health performance and risk management. Recognize, understand and accept their own personal responsibility to incorporate safe behavior into daily business activities so as to protect themselves and each other. Consistently comply with all established safety and health policies, procedures, practices, laws, rules and regulations. Actively participate in the prevention of injuries and occupational illnesses by helping to identify, and eliminate or actively manage risks in all work activities. Together we will make Pihl Excavating a safe and healthy place to work and a responsible corporate citizen of the communities in which we operate.